Flores Exotic Tours was established in 2004 by a group of eight young Florinese in Ruteng and has gained years of experience in managing holidays in Flores and Bali since then. Combined with active participation in local and international tourism training, this experience has brought Flores Exotic Tours to where it is now. 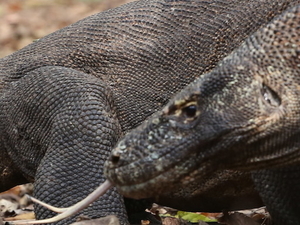 Flores Exotic Tours focuses on sharing valuable experiences with travellers wishing to know more about Flores and its magnificent Komodo dragon and other island in the East Nusa Tenggara Province i.e. ; Sumba, Timor, Alor and Rote island. These experiences include opportunities to enjoy Flores’ pure nature, its stunning beauty, as well as have a close encounter with the friendliness of the local community. While enjoying the discovery of the world’s most diverse and exotic wildlife, Flores Exotic Tours also offers trips for travellers with special interests i.e. ; Photography tours, cycling, including, ecotourism, community based ecotourism, trekking, and bird watching – such as those offered in Tado, Werang, Mbeliling, and, Wae Rebo villages, in West Flores. While appreciating the wonderful arts and culture of Flores, travellers also have a chance to support the sustainability of local tourism development, economy, and human resources that in turn shall contribute to the area’s improved standard of living.